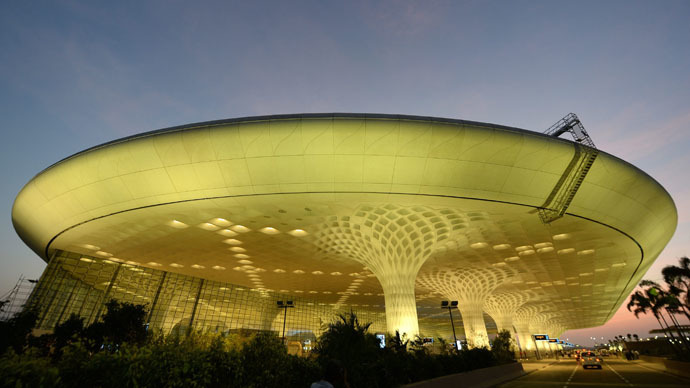 Almost 40 BA passengers, including disabled children, were told they could have to wait eight days for a flight home to London, after their connecting flight from Goa was delayed and many slept in the airport for a second night Sunday. Thirty-eight holiday makers had flown from Goa to Mumbai on an internal air India flight which had been delayed, but their connecting British Airways (BA) flight to London didn’t wait for them and they missed their connection. Passengers were then told by BA staff they could face an eight-day wait to get a flight home because there was no space on earlier BA flights. Some of the passengers have shelled out up to £5,000 ($7,603) to get home, while others spent two nights sleeping on the airport floor. Although some of the passengers were offered a hotel on the second day of their wait, they turned it down as they had heard they might not be let back into the airport without tickets. One of the abandoned passengers is the musician Sean Read, the keyboard player for the Manic Street Preachers, the Rockingbirds and Chrissie Hynde. He told the Mail they had been badly let down by British Airways. “After waiting all day looks like we’ve been abandoned for the night by British Airways again. Among the left behind; a wheel chair bound woman, a cancer patient and several small children,” he said. Seven of the passengers were offered seats on a Turkish Airlines, but they were unable to take them because there were no staff from BA around at the time to accept the offer. Passengers took to social media to voice their discontent, reporting a shouting match between British Airways and Indian officials over who was to blame. “No response from British Airways yet and BA staff in Mumbai airport just went home. Desperate for help and sanity here,” Tia Fisher, one of the passengers, tweeted. A spokesman for British Airways insisted that all passengers would be booked onto other flights to get them home as quickly as possible. “In order to get them on their way as quickly as possible we have booked a number of customers onto flights with other airlines, and we are working to rebook those remaining on to the next available flights,” he told The Independent.